WASHINGTON (AFP) - The United States said Wednesday it was reviewing a request by Libya's rebels to open an embassy in Washington, following Britain which expelled diplomats from Moamer Kadhafi's regime. State Department spokesman Mark Toner said the rebel National Transitional Council on Tuesday submitted a formal request to open what the United States would consider Libya's embassy to the United States. Toner indicated that the United States was sympathetic to the request -- major powers recognized the rebels as Libya's legitimate representatives this month -- but needed to sort out practicalities such as accreditation. "They did send an official request regarding the reopening of their embassy and we're reviewing that request. And we'll work through these issues," Toner told reporters. Ali Aujali, who was accredited as Libya's ambassador, defected from the Kadhafi regime in February as violence erupted and affiliated himself with the National Transitional Council. British Foreign Secretary William Hague on Wednesday invited the council to appoint an ambassador and expelled remaining diplomats loyal to Kadhafi. 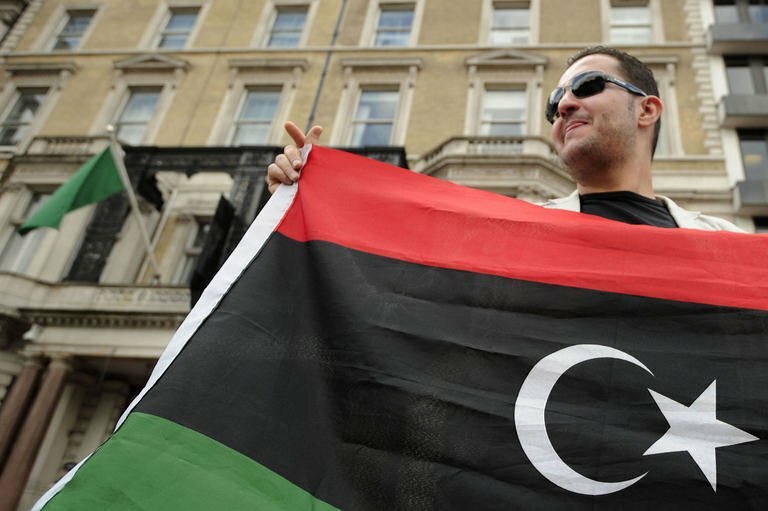 After his announcement, rebel supporters unfurled the red, black and green flag of the Libyan opposition outside the embassy where the regime's green flag still flew. In Tripoli, Kadhafi's deputy foreign minister Khaled Kaaim denounced Britain's move as "irresponsible, illegal and in violation of British and international laws." ved action to protect civilians.